Ronny Tippelt: Accordion & Yodeler. Was born in Munich, Germany on December 20, 1958 moving to the States in the mid 80’s. He plays accordion, sings, and is considered one of the best yodelers in the United States. Scott Fischer: Bass & Sound mixer for the band. Known by many names…some favorable, began playing guitar at the age of 9. Forced to play a cheap acoustic guitar until his fingers bled by drunk uncles who could sing into the wee hours. With no resolution through child labor laws, Scott decided to make an effort to play for what money he could muster. Since the late 1970’s, Scott has played country, funk, reggae, polka, and etcetera, with touring stars, dance bands, and wannabes, until he he met Ronny, and found his calling in German wide variety music. He will drink a beer with you if you just give him a chance. Rusty Swanson: Fiddle, occasional guitar and occasional vocals. Rusty is a classically trained (not enough to do any harm) veteran of the Texas music scene who stared playing in bands as a way to meet girls and now uses it as a way to meet old women. While still a member of, the Oklahoma City based Bluegrass Group, Mountain Smoke. He began playing “pick-up” jobs with some of the founders of the Austin, Texas “Progressive Country” movement. He came to Texas in the early 1970s to play a Willie Nelson Picnic, wound up putting down roots, and never made it back to Oklahoma. After years of playing in some of the pre-eminent Texas dance bands and doing studio work and tours with many of the “names” in country music, this Okie/Cherokee/Swede, through the miracle of modern music and the tutelage of Ronny Tippelt, became a “Texas German” and is loving every minute of it! It also could have something to do with the beer. 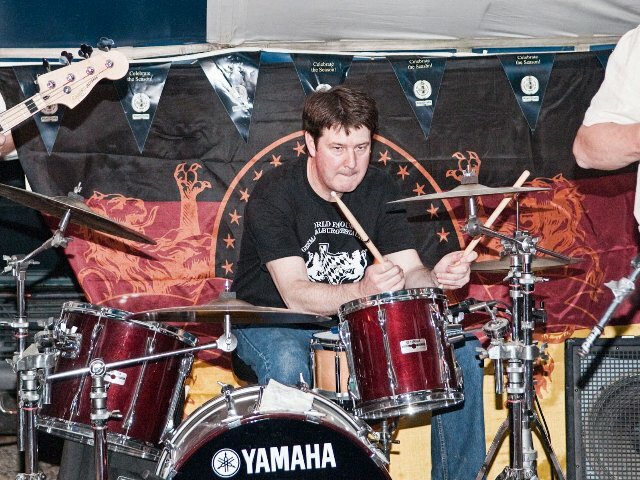 Steve Q: Drummer has been practicing the drums since the age of 12. He’s almost got it figured out. “Real job”, The best Jeweler in Georgetown! 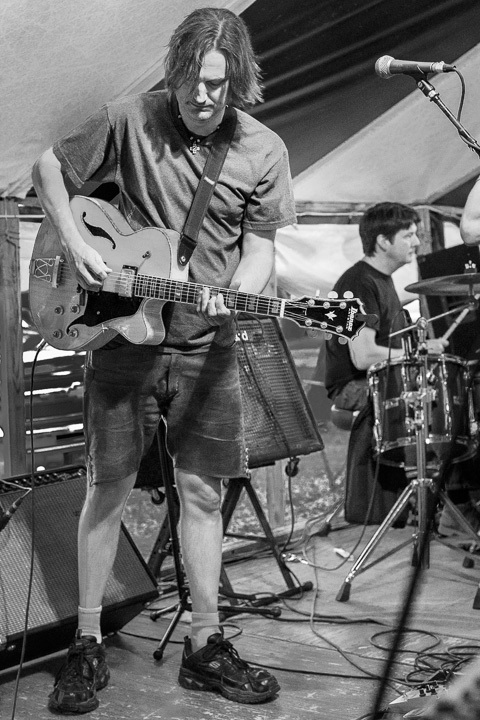 Reese Liles: Lead Guitar grew up on classic rock and later heavy metal, then got into country, jazz, and now Bavarian polka. He’s also a college guitar instructor and songwriter.